"Dessert with the Sisters" Thank You! Thank you so much to all who made our "Dessert with the Sisters" Event amazing! It was a great day with lots of friends, love and laughs. Thank you for joining us in celebrating the gift of Consecrated Life, as well as helping us reach out to help our Sisters living and working in Angola, Africa. Special Thanks to our Oblates who served and helped throughout the day. With the help of lots of generous people we raised nearly $5,000 for our Sisters in Angola! This will help them to continue building their classrooms. 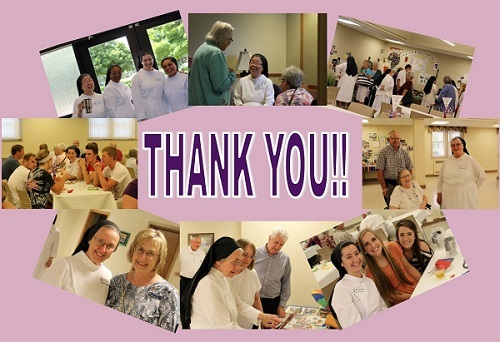 We are eternally grateful for our friends, family and benefactors' help! God Bless You All!